The following tutorial is designed to systematically introduce you to a number of techniques for genome-wide association studies. It is not meant to replicate all the workflows you might use in a complete analysis, but instead touch on a sampling of the more typical scenarios you may come across in your own studies. 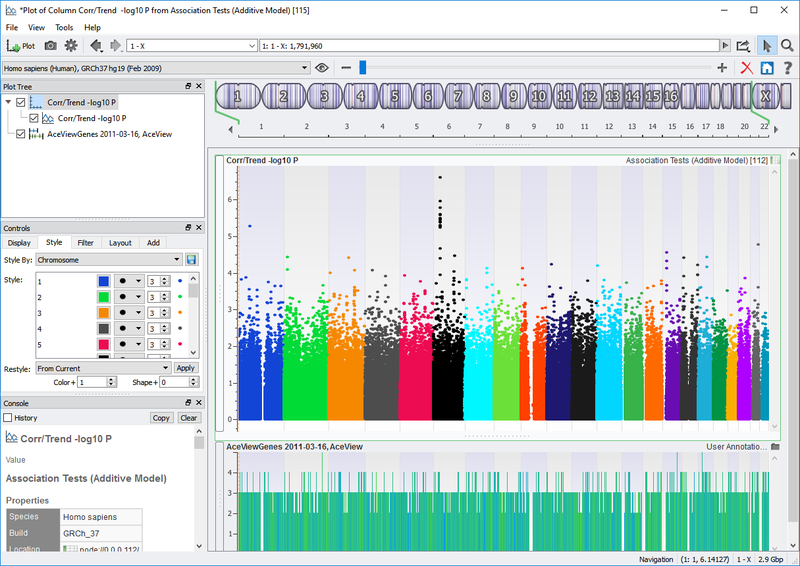 The genotype data included is a portion of a public GWAS dataset from the Gene Expression Omnibus database, as well as 270 HapMap samples. 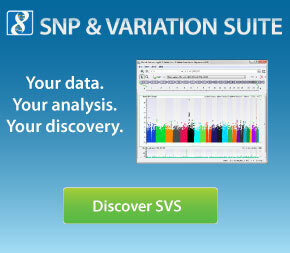 There is a population spreadsheet that identifies the HapMap subpopulation and the study data. Both studies were run on the Affymetrix 500K genotyping array. All phenotype data is simulated. All open windows (except the Project Navigator) can be closed after each section’s completion.